BELGRADE, February 15. /TASS/. Serbia’s European aspirations do not mean that the country plans to introduce sanctions against Russia or withdraw from the TurkStream pipeline project, President Aleksandar Vucic told a rally in the city of Sabac on Thursday evening. "Serbia is an independent country, a sovereign and free nation. Serbia is now on the European path, but Serbia is free to say to all European partners and Washington that it will not introduce sanctions against the Russian Federation, that we are friends with Vladimir Putin and that we will build the [TurkStream] pipeline through our territory. And we are not ashamed of this, we are proud of this," he said. The issue of the possible extension of TurkStream to Serbia was one of the major ones at the negotiations between Russian President Vladimir Putin and Serbian President Aleksandar Vucic on January 17. Answering a TASS question, Putin stated that Russia is ready for this project and may invest about $1.4 billion in the development of Serbia’s infrastructure to build a pipeline branch through this country. The Russian state leader noted that "many countries are interested" in the further extension of this pipeline to Europe, but everything should be properly registered. TurkStream stipulates the construction of a pipeline along Black Sea bottom to the European part of Turkey and further on to the border with Greece. The first string will be used to deliver gas to the Turkish market, while the second will be used for gas supplies to countries of Southern and Southeastern Europe. 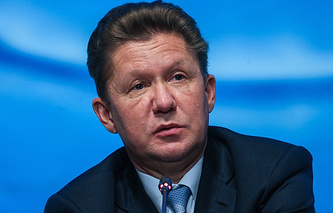 Gazprom regards Greece, Italy, Bulgaria, Serbia and Hungary as potential markets. Earlier, the director general of Serbia’s national gas company Srbijagas, Dusan Bajatovic, said that his country was ready for the construction of the pipeline, which is to begin in late March or early April. The Serbian stretch of TurkStream should begin gas transit by late April 2020.